Veteran journalist and media critic Aung Hla Tun was appointed as Myanmar’s deputy minister for information on Monday. The Rakhine State native has built a reputation recently as a guardian of Myanmar’s public image, but his selective adherence to media ethics has been a source of anxiety among critics of the country’s military. Aung Hla Tun worked as a reporter and editor for the UK-based Reuters news agency until 2015, when he took up the post of vice-chair of the Myanmar Press Council – a body that became independent from the Ministry of Information in 2013, ostensibly in order to advocate more effectively for journalistic freedom. As vice-chair, Aung Hla Tun made it his mission to defend Myanmar’s government and military from accusations of abuses by foreign media outlets. His dogged protectiveness of the government’s reputation appears to have made him a fitting candidate for the second-highest position in a ministry that works to encourage local media to conform to the official government line. However, Aung Hla Tun’s pro-government activism has strayed beyond just speaking up in support of government policies. On a few infamous occasions, he has failed to act as a friend to journalists. In late November, he criticized AP reporter Esther Htusan for misquoting State Counsellor Aung San Suu Kyi in an article titled “Suu Kyi blames world conflicts partly on illegal immigration.” After a transcript of the state counsellor’s speech was later released, Htusan corrected the article and changed the headline to reflect Suu Kyi’s actual statement. Under Aung Hla Tun’s leadership, the Myanmar Press Council failed to release a statement in support of three journalists and their driver who were arrested for allegedly importing and flying drone near the parliament compound in Naypyidaw. One of the journalists – Aung Naing Soe – was known for his reporting on the plight of Muslims, including the Rohingya, during Myanmar’s political transition. The council also refused to help mediate Aung Naing Soe’s case with the government, though that is its primary mandate. While the council did release a statement in support of the two Reuters reporters who were arrested last month for investigating a military massacre of Rohingya men in northern Rakhine State, its members were publicly criticized for taking a week to do so. 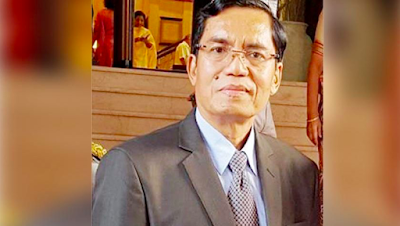 Aside from journalists, fears about Aung Hla Tun’s appointment are most acutely felt by those who advocate for the rights of the Rohingya, whose persecution at the hands of the Myanmar government and military the new deputy minister has sought to suppress. Burma Human Rights Network director Kyaw Win said: “The appointment of Aung Hla Tun as deputy information minister proves that Burma’s skin-deep political reform is taking another U-turn. His [tacit] support for the arrest of the two Reuters journalists, despite having worked for Reuters himself, proves that this appointment is a serious threat to media freedom in Burma.